Is a Testamentary Trust Right for Your Family? | The Estate, Trust & Elder Law Firm P.L. Many of our clients tell us that estate planning, at first, can be a challenging task. This is understandable. Effective estate planning requires you to carefully consider what will happen to your assets when you’re no longer here. We want you to think through your estate planning needs very carefully and evaluate all of the available planning alternatives with our support. Our goal is for you to rest assured that your assets will be protected and your loved ones well taken care of in the event of your death. Let us share with you some commonly asked questions about establishing a testamentary trust, so you can make an informative decision on whether it may the right estate plan for you and your family. 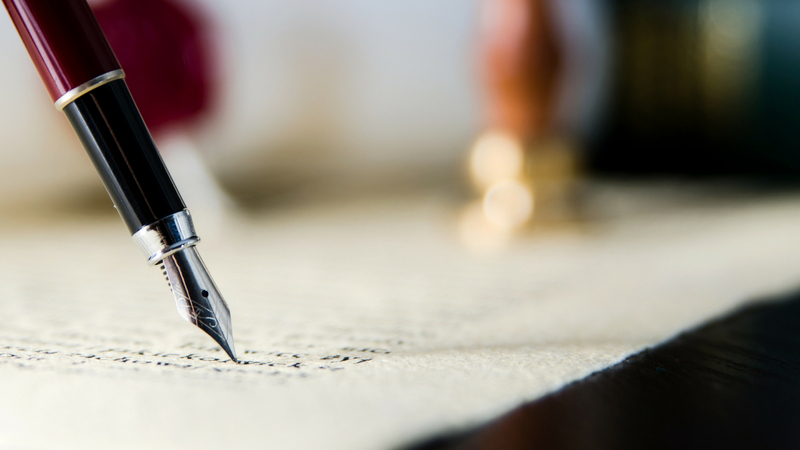 A testamentary trust, or will trust, is one that is provided for in a last will and testament. The will sets forth instructions to the personal representative of the estate to create a trust. Although the will is drafted while the grantor is still living, the trust itself does not exist until the will is probated upon the creator’s death. The grantor appoints a trustee to manage the assets and funds in the trust until a designated beneficiary takes over. How does a testamentary trust differ from a revocable trust? On the most basic level, a revocable trust differs from a testamentary trust in its formation. A revocable trust is set up while the grantor is still alive, while a testamentary trust is established upon the death of the creator. Further, families seeking to avoid the probate process may opt to create a revocable trust, as a testamentary trust guarantees judicial probate. However, to take advantage of this benefit, the grantor must work with his or her attorney to continue to place assets and money into the trust during his or her lifetime, which may pose a challenge for some. What are the main benefits of a testamentary trust? One of the most appealing benefits of establishing a testamentary trust is asset protection, particularly for families with significant assets and funds. For example, if a beneficiary owes money to creditors and receives an inheritance via the trust, the distribution will be protected from said creditors. The assets belong to the trust, not the individuals. Another main benefit of a testamentary trust is that this type of trust allows the grantor to “control”, to a certain degree, how the trust assets and funds will be used. In the case of a beneficiary with poor spending habits, for example, the grantor can set forth certain provisions within the trust to prevent the beneficiary from squandering away his or her distribution. Creating a testamentary trust is relatively simple. The trust can be incorporated into your will during the will’s creation or later as a separate addition. Costs and fees for establishing the trust can be taken out of your assets at death, limiting the amount of upfront costs you may be responsible for. While a testamentary trust can be a useful tool for distributing your life savings per your personal desires, it is just one planning option to consider. For many of our clients, the desire to maintain privacy and avoid the probate process entirely, vastly outweighs the potential convenience of a testamentary trust. If you are ready to discuss your estate planning further, do not hesitate to schedule a meeting with our firm. Let our experienced attorneys guide you through each step of this important process.